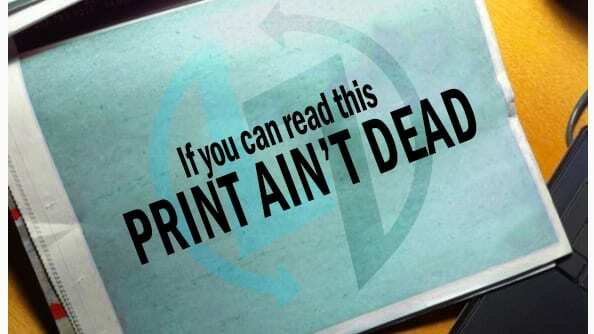 Print Still Holds A Strong Future! Print Media stores and disseminates printed matter. Print Advertising uses physically printed media such as newspapers, magazines, booklets, flyers, newsletters, etc. to reach individual consumers as well as business customers and prospects. Going by the number of books being sold on Amazon and the horde of newspapers, magazines and other forms of print out there in the market, the print is far from done and still holds a strong future. We have seen some incredible forms of print advertising in the past. 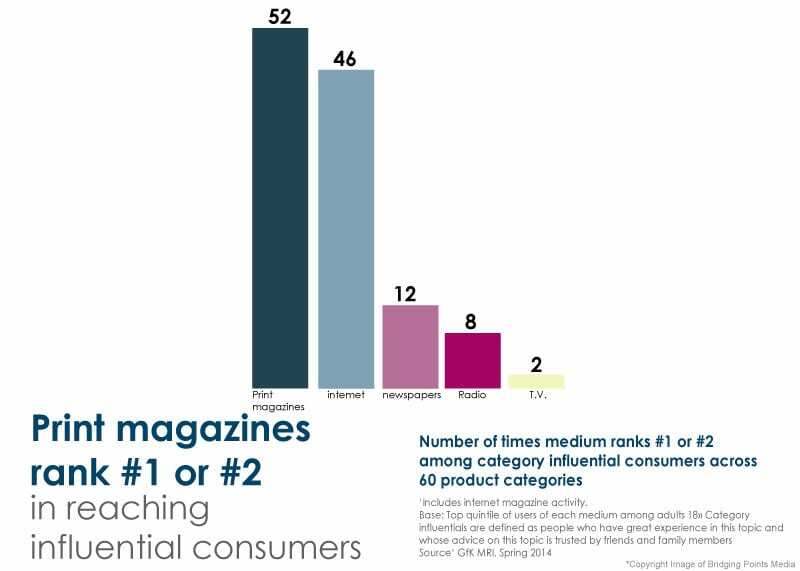 Print media advertising offers advertisers the opportunity to target different types of readership. With print media, costs are based on the circulation and the nature of readership. The more the circulation – the higher the costs. In the case of newspapers, an advertiser has to bear in mind three key factors – size of the newspaper, circulation & readership of the newspaper and the audience segmentation..while in the case of magazines an advertiser can focus on a specific target audience. Every media has its own advantage. Print media definitely has its own advantages which made it the lifeblood of marketing communications for decades. Print media benefits from very loyal readership. There are dedicated subscribers of their favorite magazines and newspapers almost in every part of the world. Print ads have very high credibility and further gain from the pass along exposure. Print readers have higher attention spans making them more receptive to the ads within the medium. 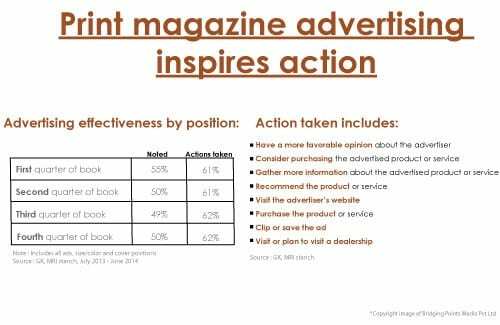 The Nielson Global Trust reported that 65% of print readers typically take some form of action after viewing a newspaper ad. Reading on paper is slower and deeper – because of the physicality of the paper people feel more connected to it. Further print ads are non-intrusive. It is also believed that print ads sway ‘Influencers’ more than any other media. Print has Gravitas – print ads carry clout. If the business appears in print and is further shared online on the business Facebook page and other social media accounts, exposure is optimized. We at BPM provide clever print solutions to our esteemed clients and help them reach their target audience by placing their ads in our partner publications. We are more focused on interactive print ads. When print and digital advertising work synergistically, results can be dramatic. We, therefore, provide combo solutions to our clients i.e. print + digital.